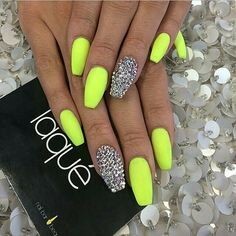 Those silver nails are so awesome! So much time and effort is spent on the nail color and the design. 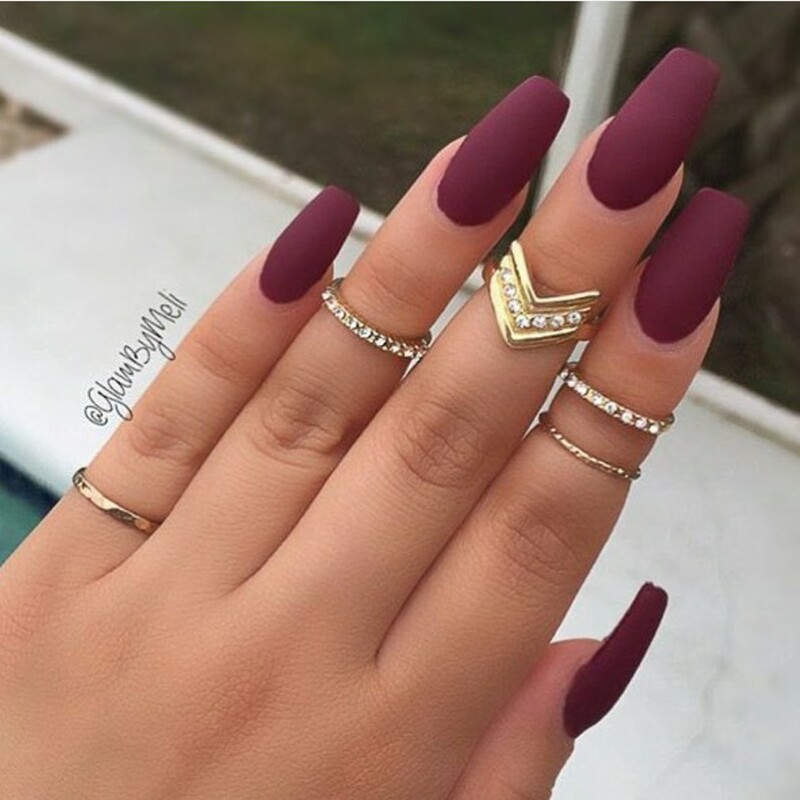 But what about the nail shape?! 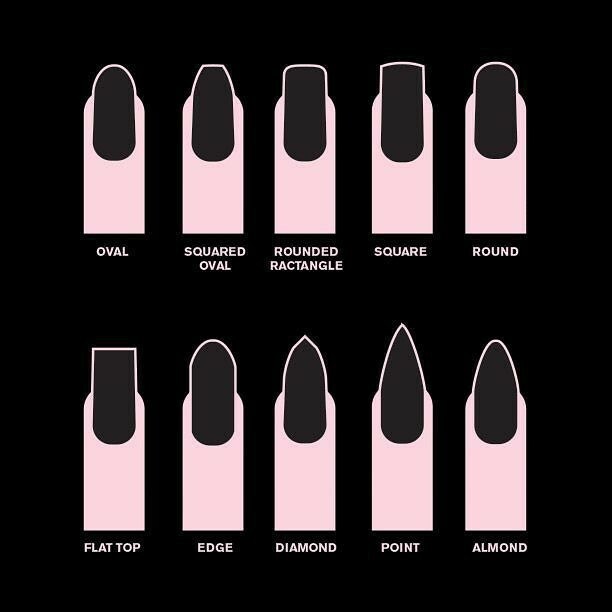 I love this infographic because it tells you IMMEDIATELY, the kind of nail tip that you can go for. Do you have a favorite? Which one do you like to sport? 2014 was the year of the point. It's still around, but I am seeing a lot of almond shapes this year. Personally, I think that the oval, which is the top left design, to be the most flattering on fingers. It elongates the finger for those with shallow nail beds and isn't sharp. 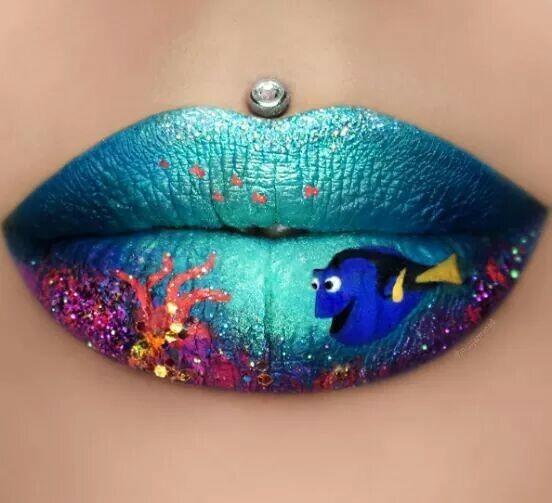 Be sure to list your favorite and to tag a friend that would love this. Maybe you're a nail artist, if so, point me to your nail designs. I'd like to see them! Click here for the ultimate Winter nail varnish--it's a MUST! The long weekend starts tomorrow! Here are some fun ideas to beautify your memorial day style. Hair Idea: Chalked and Eyeshadow Highlights Did you know you can create faux highlights with chalk or eyeshadow? Learn it here: Color Your Hair With Chalk curated by @alise DIY Eye Shadow Highlights Below are some ideas to put your creative at work! 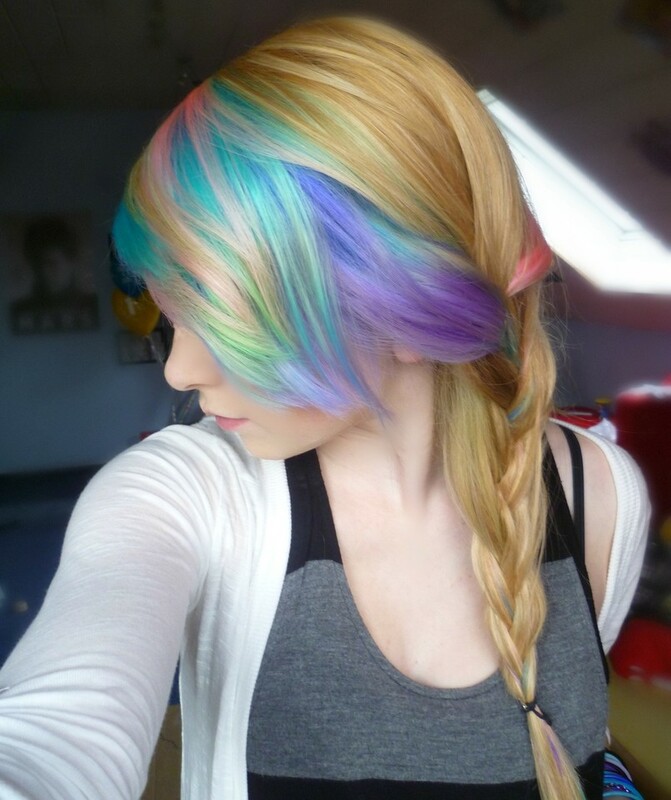 Dip-dye multicolor highlights and curled hair. Green-blue ombre mermaid hair. Rainbow cat eye. Rainbow gradient eyeshadow! Technicolor highlight eye shadow. Rainbow Nails Rainbow Glitter Nails Rainbow watercolor nails! You can cancel your manicure appointment. There's a new invention in town and you're bound to fall in love with it. Although you prefer to go to your biweekly appointments at the nail salon over painting your nails in the comfort of your home, it's time to rethink a few things. Painting your own nails has always been a hit or miss, but it's now easier than ever thanks to Nails Inc. Paint Can. 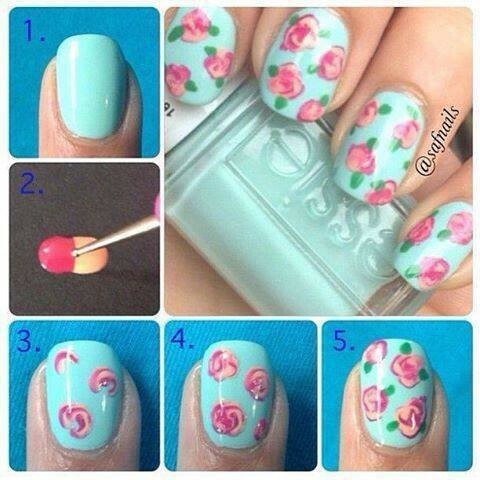 This amazing innovation makes painting your nails convenient and easy. I mean who wouldn't love having their nails painted in twenty seconds or less? I'm really sitting here questioning why I didn't think of this brilliant idea myself. Vogue UK beauty editor Lauren Murdoch-Smith describes it as â€œquick, easyâ€”but most importantly, fun!â€� and we all know doing your own nails is anything short of fun, so this is definitely a product that every lady should give a try. If you're wondering how this amazing spray can of polish works, keep scrolling to see the directions below. Directions: Start with a base coat. Spray the nails with the product from a short distance [it may get a bit messy, no worries]. Finish with a topcoat. Wash off the excess paint with warm water. 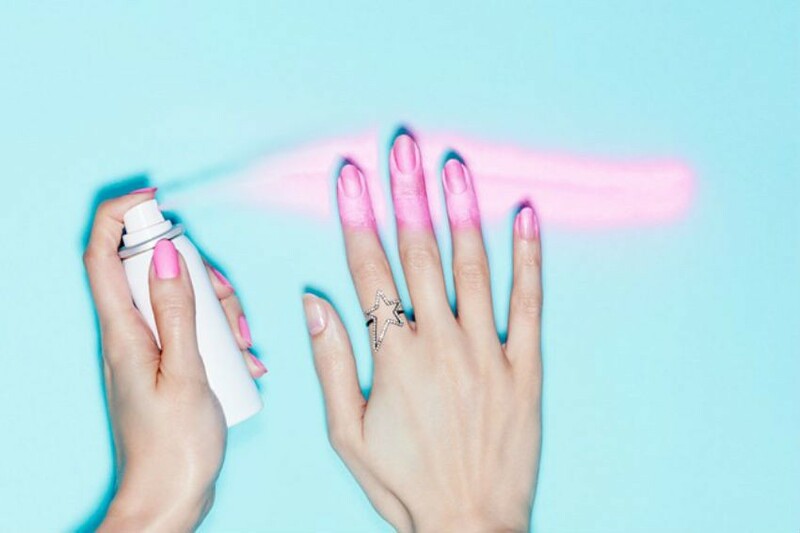 Ladies, would you give this futuristic nail polish a try? 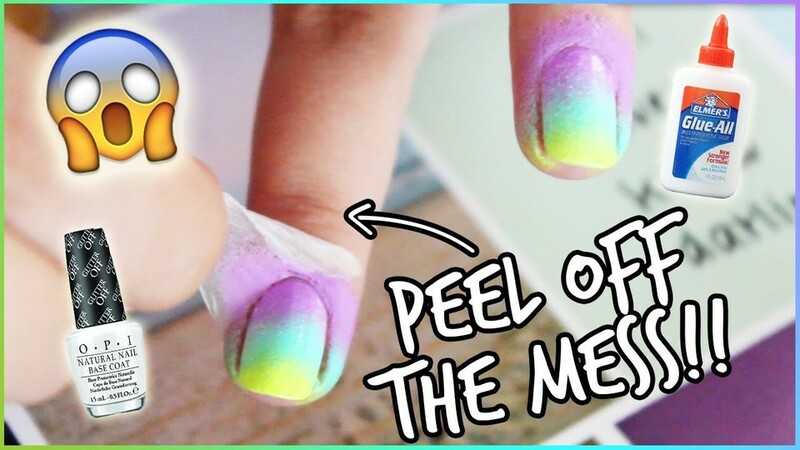 These two nail tricks involving Elmer's School Glue might just change the way you do your nails â€“ forever. For those of us with unsteady hands or a penchant for glitter, these are pure godsends. I was astounded when I found them â€“ why did no one ever tell me to do this before?!? The first trick â€“ remove glitter polish easily (because we all know what a hard time that usually is) by first painting your nail with a little Elmer's glue. When you're ready to remove, the glitter peels right off! And secondly, use a small paintbrush to cover your cuticles in Elmer's glue so that when you're done painting your nails, you can just peel the mess right off! I'm a total klutz with nail polish, so I'm definitely giving this one a try. 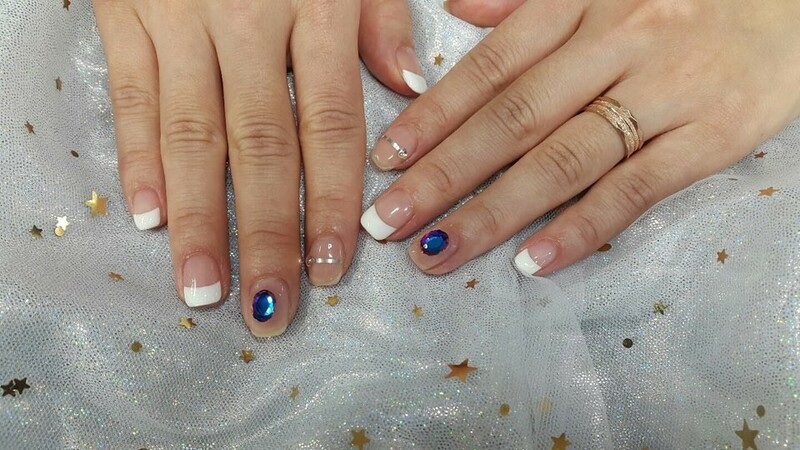 :) Try to do a little less glue than the lady did in the picture â€“ stick to the skin parts around your nail, like in the top photo. Good luck, ladies! 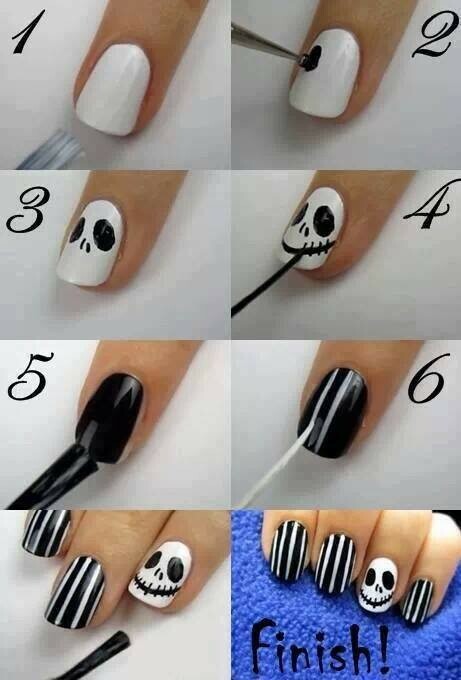 :) Tell me if these tricks work for you!! 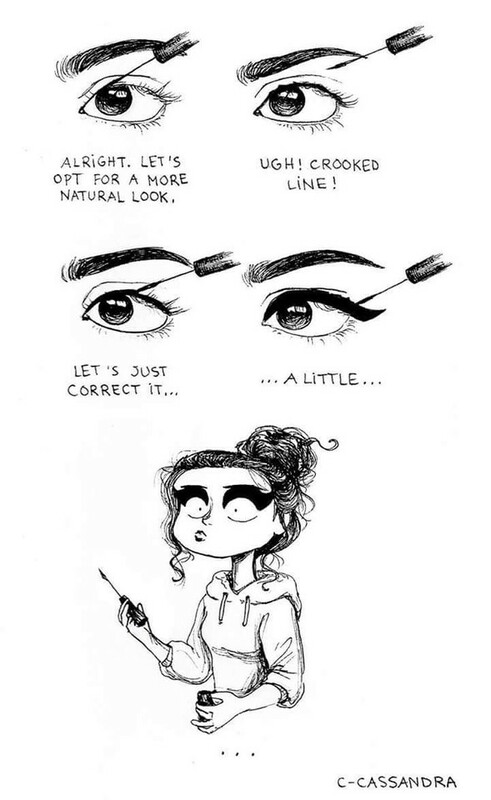 A day in the life of a girl.